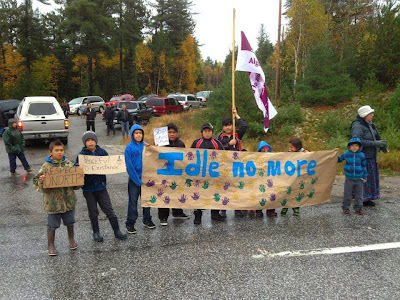 On the 250th anniversary of the Royal Proclamation of 1763, which is the basis of legal recognition of Aboriginal Title in North America, Idle No More declared a Global Day of Action for Indigenous Sovereignty. 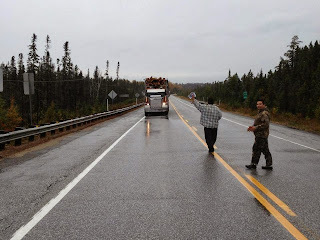 Indigenous people have seen the wealth taken from our lands in the form of minerals and clear-cut logging, we have felt first hand the environmental, social, and spiritual costs that corporations and the Quebec and national governments have externalised onto us and our way of life. 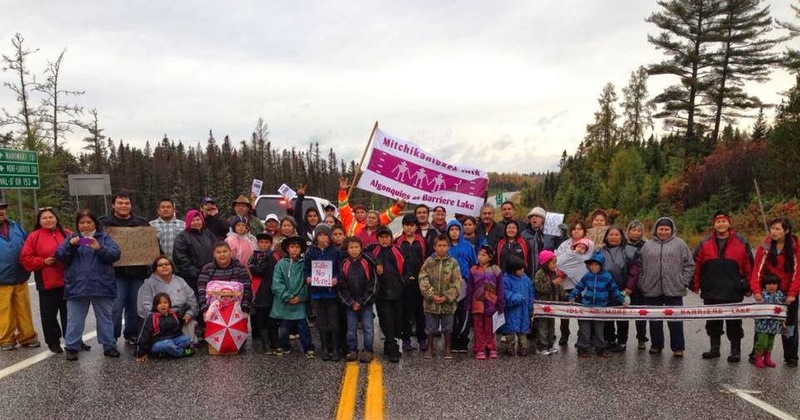 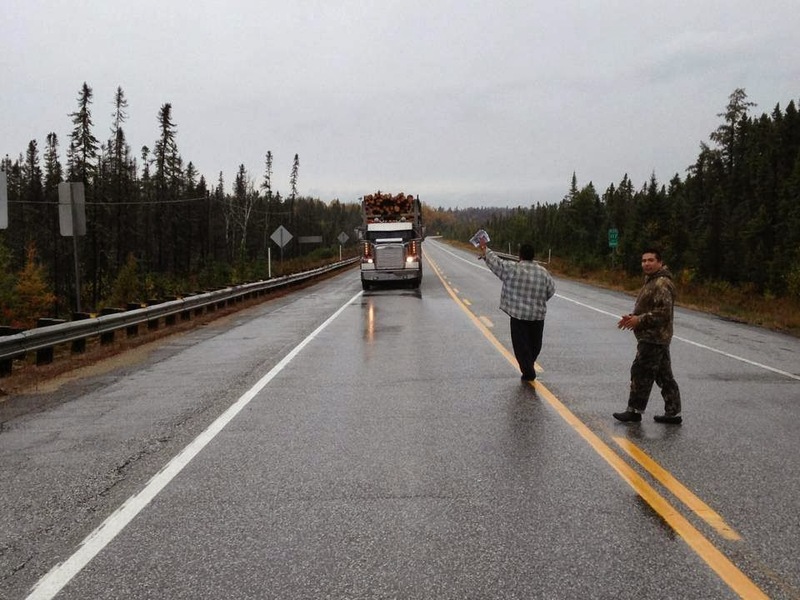 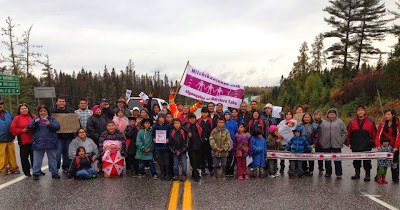 We are answering Idle No More's call for action today and slowing traffic on hwy 117 to educate people about this historic Indigenous-led global day of action.